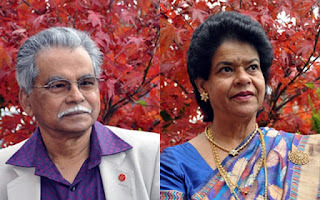 Mrs Maitreyee Sarcar, H F (Honorary Fellow of Wolverhampton University), F R S A, my wife and I launched the Surtarang radio show in April 2007 on WCR FM - the Voice of Wolverhampton on 101.8. Since April 2010 WCR was known as the Wolverhampton City Radio 101.8 FM. Surtarang joined The City Radio, the online radio (www.liveinthecity.co.uk) on 24 February 2014 following a re-structuring of the WCR FM. On 2nd June 2014 The City Radio changed its name to Gorgeous Radio and Gorgeous Xtra. With effect from 4th September 2014 Surtarang became a part of Gorgeous Radio Live. The show is broadcast on Sunday from 2 pm to 4 pm (GMT) and the repeat show on Thursday from 4 am to 6 am (GMT). 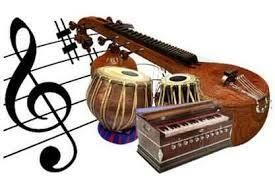 Surtarang shares the Indian classical music, both from north and south India as well as from Pakistan, with people all over the world through the Internet. Surtarang is a voluntary organisation. It is a non-profit-making and non-commercial venture by a husband and wife team assisted by some friends. Surtarang’s main objective is to promote pure Indian classical music, both North Indian and Carnatic throughout the world and share pure joy and peace with its followers all over the globe. It is a husband and wife initiative. I look after the production, in particular the technical aspects of Surtarang while my wife, Maitreyee looks after the administration e.g. marketing and publicity through emails, Facebook, LinkedIn, Twitter, Google+ etc. Most of us have ambitions and many of us have missions,but very few of us have visions.An ambition,a mission,is of course, a journey,but those make their footsteps indelible,who create a new vista,and imprint their love among many souls en route. Upholding Indian Classical Music worldwide,paying tributes to the stalwarts ,encouraging upcoming talents are a few among the remarkable landmarks .